You will receive a certificate by e-mail once you have successfully completed the test at the end of this module. If you are completing this as part of your apprenticeship homework, you will need to complete the test at the end of this module and also complete the three question assignment questions on your NCCERconnect page. © 2017 E Light Electric Services Inc.
All field employees and operations managers are required to successfully complete this training every year. NOTE: The purpose of this training is to provide awareness training only. Taking this module will not qualify you to disturb Asbestos containing material or material that could potentially contain asbestos. 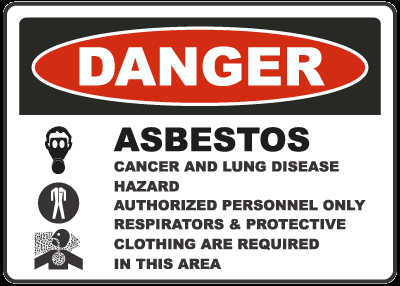 We will not discuss asbestos removal processes or how to mitigate asbestos as that is a subject for another class. This module will cover awareness , recognition and actions you must take when you discover asbestos. 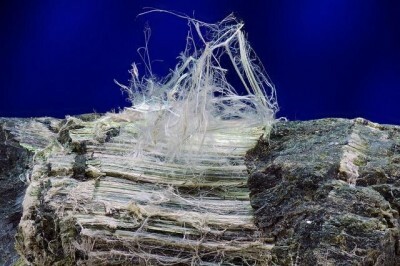 Asbestos is a name given to a group of naturally occurring, fibrous minerals that are uniquely resistant to heat, chemicals and electricity. The fibers are extremely fine and easily inhaled. Asbestos occurs naturally in large deposits on every continent in the world. Asbestos fibers are 5 micrometers or longer with a length- to-diameter ratio of at least 3 to 1. ​Inhalation of asbestos fibers can cause serious and fatal illnesses including lung cancer, mesothelioma, and asbestosis (a type of pneumoconiosis). Friable asbestos is material containing more than 1% asbestos by weight or area that is crumbly, dusty or powdery. It can be crumbled, pulverized or reduced to powder form using the hands. 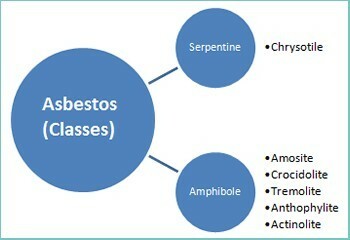 Most asbestos-containing material is friable. Examples include: sprayed coatings or insulation, lagging, loose asbestos, or asbestos in its raw state. 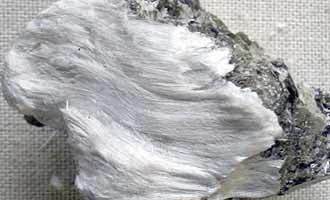 Non-friable asbestos is material containing more than 1% asbestos which is held within another material and cannot be crumbled, pulverized, or reduced to powder using the hands. There is archeological evidence that Asbestos was used in pottery and the chinking of log homes as early as 3000 BC in Scandinavia. Written documentation of the use of asbestos dates back to the days of the Roman Empire. In early Greek and Roman times, it was used for flame retardant cloth, building materials and women's clothing. In medieval times Asbestos was used extensively as insulation in suits of armor. By the end of the 19th century, the use asbestos had become more widespread as a result of the industrial revolution. Asbestos was used in the manufacture of more than 3000 products including textiles, building materials, insulation and brake linings. Its use continued to increase through the 1970s. By 1978 documented studies had produced evidence against Asbestos as a health hazard and demonstrated the extent to which exposed workers had been affected. The Clean Air Act of 1970 classified asbestos as a hazardous air pollutant and gave the U.S. Environmental Protection Agency (EPA) the power to regulate the use and disposal of asbestos. 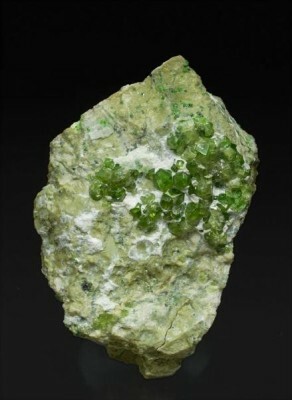 Spray- applied asbestos products were banned with the passage of this act. In 1976, the Toxic Substances Control Act (TSCA) provided the EPA the authority to place restrictions on certain chemicals such as asbestos, radon and lead-based paint. OSHA came into existence in 1970 and the first product they decided to regulate was asbestos. into very tiny fibers. 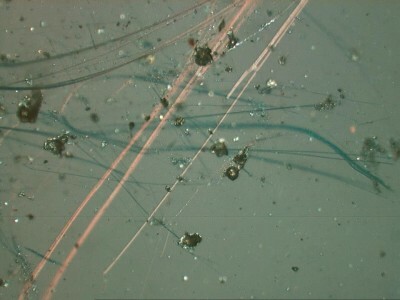 These individual fibers are so small they must be identified using a microscope. 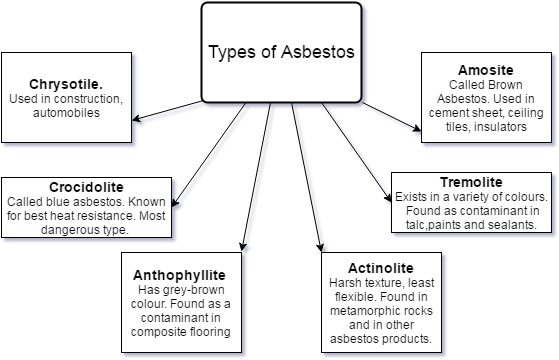 Asbestos is usually mixed with other materials to form products. Some fibers may be up to 700 times smaller than a human hair! -Resistant to chemicals and heat, and they are very stable in the environment. -Not broken down over time, do not evaporate into air or dissolve in water. Asbestos is considered by many to be the best insulator known to man.